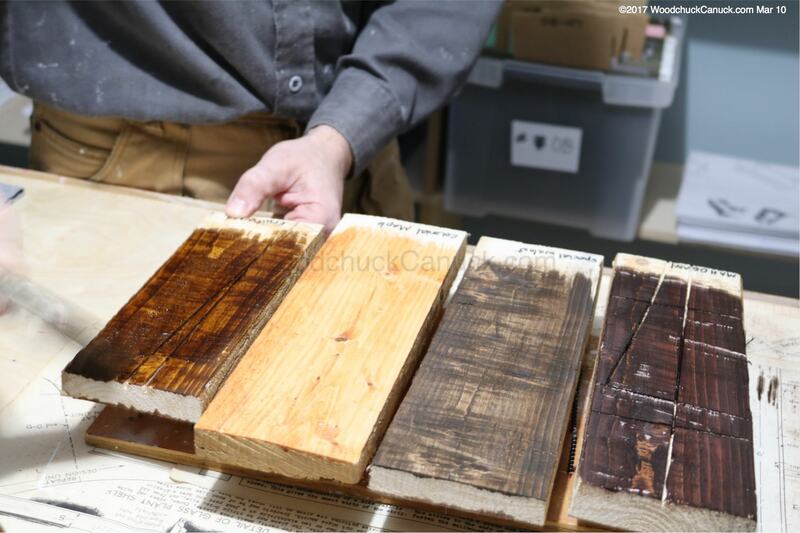 Its always a good idea to have sample boards for staining and finishing. 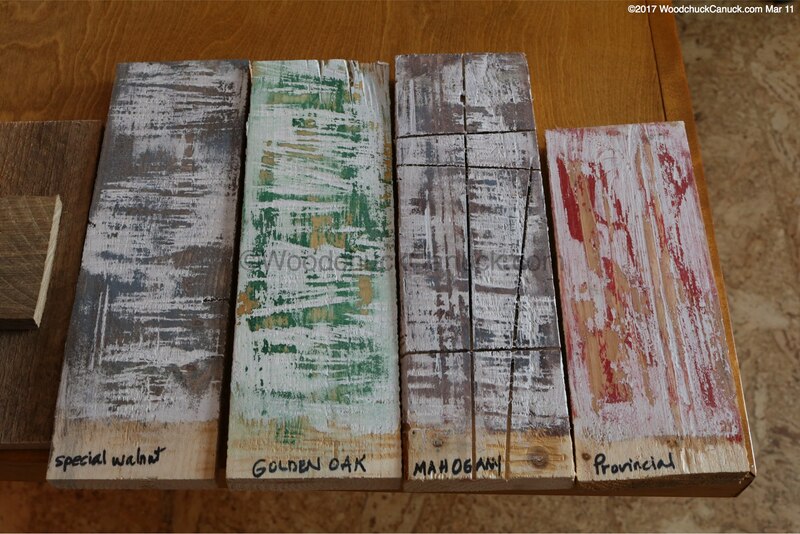 The wood samples here are some scrap spruce and fir in the workshop. I touched the surfaces with the sander but still a fairly rough finish. I mostly want to see how this software absorbs different stains. 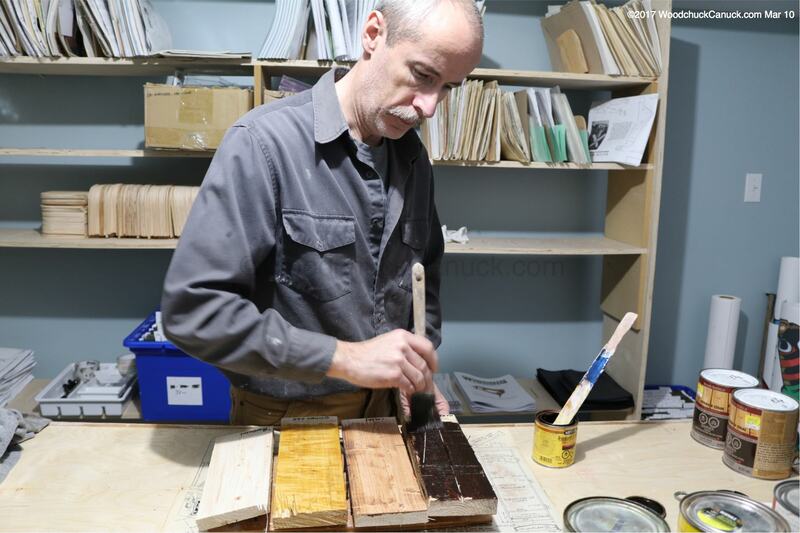 Some stains really went deep, the darker walnut and mahogany for examples. Brush on, let sit not a minute, then wipe off. 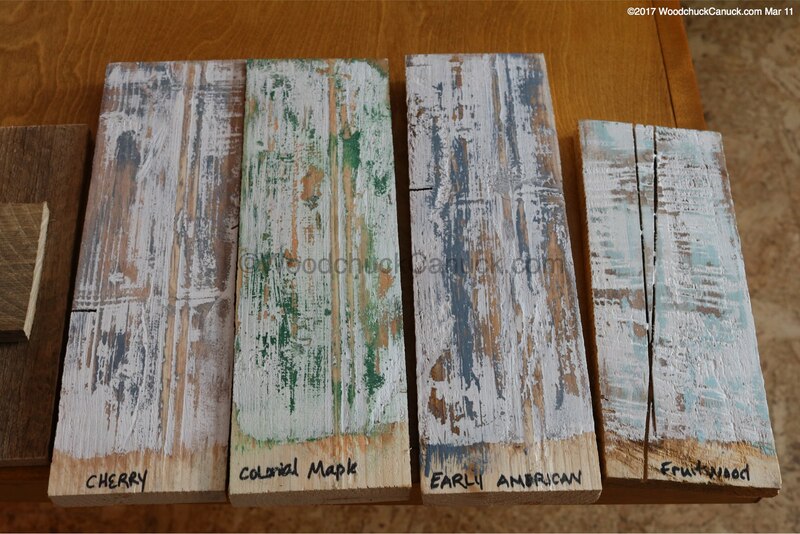 We tried out 6 different colors by staining both sides of the 3 boards. So here is the end result. Using different latex paint colors and doing a top coat of white, then a bit of scraping, this is the result. 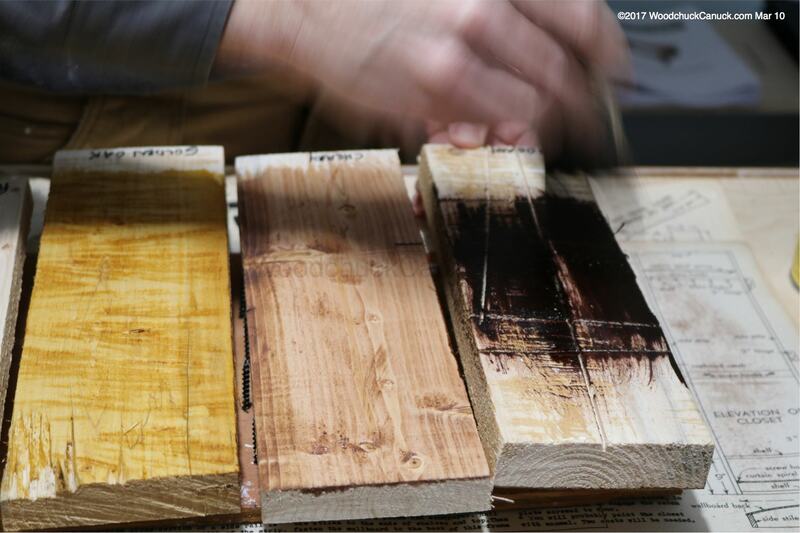 Some color combinations I think are better than others, but that’s the good thing about taking time to test pieces.